*This post may contain affiliate links. There is no extra cost to you, but will greatly help our family. Please see our disclosure policy. We all go through events in our lives that lead us to make decisions and take us down different paths that affect our life. Well, today I want to share how growing up with my brother has changed my life for the better and I wouldn’t have it any other way. I think many people hear the word Autism and they think socially awkward, aggressive, weird, etc…We don’t have to think that way if we get to know the person for who they are and not what society tells us to believe. My brother was born when I was 13 years old and I loved growing up with a baby brother. It was so much fun to see him grow up and have opportunities to play with him. I remember going out into public places with him and getting weird looks from strangers like he was my child, but that didn’t stop me from going places with him. He was my little brother and I loved him so much. I remember going off to college and that was the year when he was starting kindergarten and the year he was diagnosed with Autism. My mom would tell me how hard that first year of school was for the both of them with her being the special education teacher not being able to help her own son and how much anxiety he was having at school. After that year was when my mom decided she needed to do what she felt was best and homeschool my brother. Growing up along side my brother has taught me many valuable life lessons and has lead me down different paths in my life that I probably wouldn’t be down today if not for him. He was my inspiration for choosing my career path of occupational therapy and for starting this blog! He has taught me more about compassion and nurture along with my mom more than anyone else ever has. He helps me be a better person by helping me think outside of the box to learn to help other individuals as well. He has helped teach me so many life lessons along the way and I want to share them all with you! I feel like society tells us so many times that if we aren’t “normal” we don’t fit it and we need to “change”. I am telling you that is wrong to believe and that we need to learn to love and accept our loved ones for who they are as individuals and not what society tells us to believe. Think about people that have stood out in our society…were they people that fit in? Or were they people that stood out and had unique and amazing talents? The people that stand out to me are the ones who go against the crowd to stand out and be different. Don’t let the world tell you how you or your sibling needs to be, make the world a better place and help them learn to make the world work for them. Learn to embrace their differences and their strengths. Help them identify their strengths in their lives and see themselves through a positive lens. 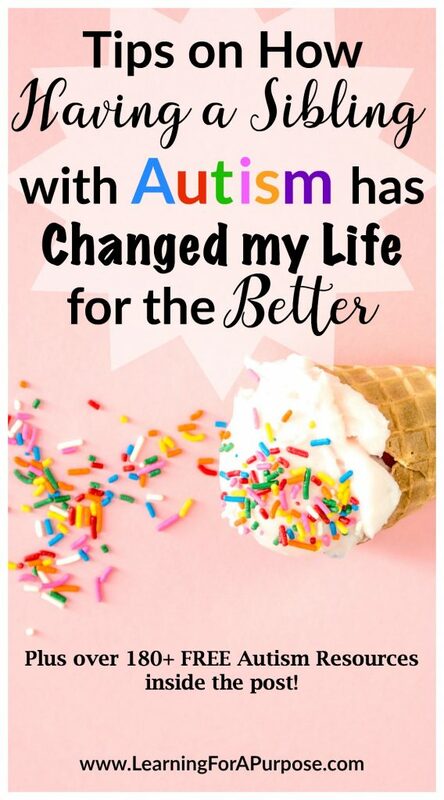 I feel like so many times Autism is seen as bad…and this can have a huge impact on someone’s self esteem. Make sure you are always talking about Autism in a positive light and talking positive with your sibling and family as well. This can have a HUGE impact. This statement goes along with the one above, but I wanted to make sure I hit this hard…Every person is unique and has strengths and weaknesses. We all have skills that we are good at and others that we could use more practice with. Your Sibling is going to be the same way, if they have something that is more difficult for them help them with that skill, but don’t change who they are because they can’t do something as well. For example, if going out to public places is hard for your brother or sister, find a way to make that easier for your sibling by going somewhere that you know they really enjoy. My brother does not like going out to eat at restaurants, but he was super motivated to go to Dave and Buster’s. We were able to go to that restaurant because it was something he wanted to do and was motivated to do it. A strength of my brother is that he is very smart with science and technology. He is very good with computers and that is why I have been learning the blogging world for him to be able to teach this skill to him when he gets older as a way for him to make an income. As his sister I feel that I need to use my strengths of (patience and learning) to help my brother out when he transitions into adulthood to help make life a little easier for him. This may seem like common sense to some, but always make sure you treat your sibling like you treat your other siblings as well. It is okay to joke around with them, play with them, or even get upset with them. These are normal emotions to have with all family members. Don’t leave someone out just because you think they won’t like the activity or it might be too hard for them. Always ask them if they would like to join you in something, you never know what they may say. I also want to say too, don’t force your brother or sister to do something with you if they really don’t like it or don’t want to do it. Growing up, I knew my brother really did not like movie theaters or going to restaurants. I always asked him if he wanted to go with me, but I would never force him to do something if it upset him. Being the older sister, I kind of also took on that motherly role as well with me brother. I wanted to protect him from harm. If we went to the playground when he was little and had a hard time playing with the other kids I would look out for him. I would be the one playing on the jungle gym with him and going down the slides. I wouldn’t let the other kids bother him or bother me either. Growing up with my brother when I was younger I loved being able to teach him new play skills or go swimming with him and try to help him learn how to swim. Now that we are both older my mom and I are both trying to learn to teach him life skills to help him be more independent as he transitions into adulthood. I know I look to my brother for teaching me new skills on the computer and through different video games he is playing and he looks up to me to help teach him different skills as well. Be there for each other and be a positive role model for each other. Take the time to help one another and teach them something you are learning. Love each of your family members for the unique person that they are. Learn to love their quirks and be there for them. Protect and guide them in this journey through life. If they ask for your help, be there for them. You don’t have to make the big gestures, just do the little day by day things together that make such a big difference. If you are an older sibling like me, take time to call or visit your younger brother or sister because seeing you can bring your little sibling so much joy. Growing up alongside my brother has changed me for the better because it has taught me to be the person I am today. I have learned to love each person for their unique abilities and strengths and to not let the world define who you need to be. My life choices have been chosen because of my brother and mother and I have them to thank for the person I have become. I hope that if you have a sibling with Autism, they can have such a positive experience on you as my brother has had on me in my life. 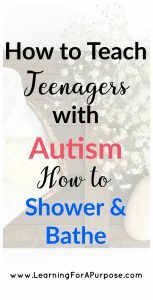 If you have a sibling with Autism, whether they are younger or older, what are some tips they have taught you in your life? I would love to learn from other siblings as well! Leave your thoughts in the comments below! Are you feeling overwhelmed by information about Autism and don’t know where to turn? 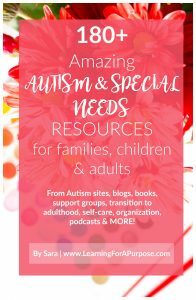 Check out our 180+ FREE Autism Resource Guide for information about Autism websites, blogs, Facebook support groups, books, self-care, transition to adulthood information and MORE! 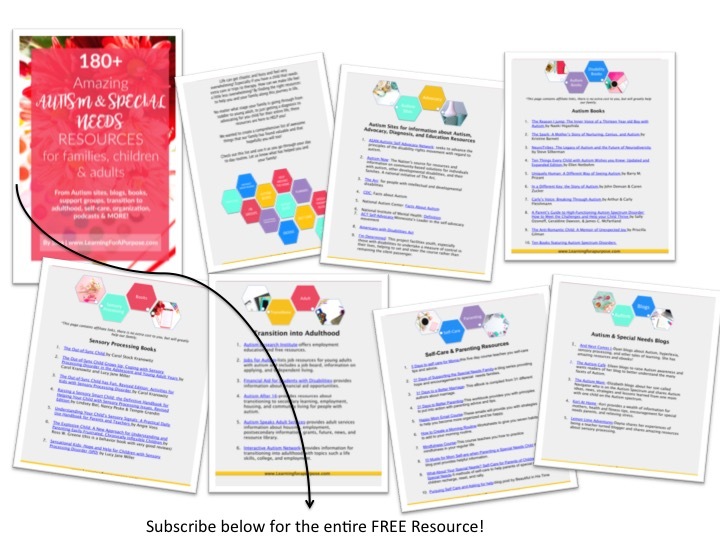 Get your FREE resource below by giving us your name and email address! 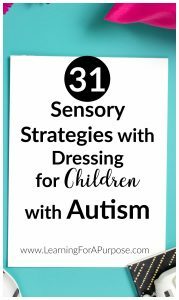 Are you looking for other amazing tips and advice from Special Needs Parents? Check out the other posts below for GREAT tips and advice to help you feel less overwhelmed. 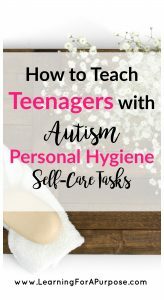 Are there any tips for helping a younger sibling out when her sister has autism? How do I help my younger sibling find her passion in life? How is life without a sibling ? What are some good parenting tips on eliminating sibling rivalry?